Saadallah TAMER, Stefano Mastrobuoni, Mona Momeni, David Vancraeynest, Jean Rubay, Gebrine Elkhoury, philippe Noirhomme, Laurent De Kerchove. Cliniques Universitaires St-Luc, Woluwe-Saint-Lambert, Belgium. Our study shows that valve-sparing reimplantation is associated with low perioperative mortality, a remarkably low rate of valve-related complications and excellent long-term durability. 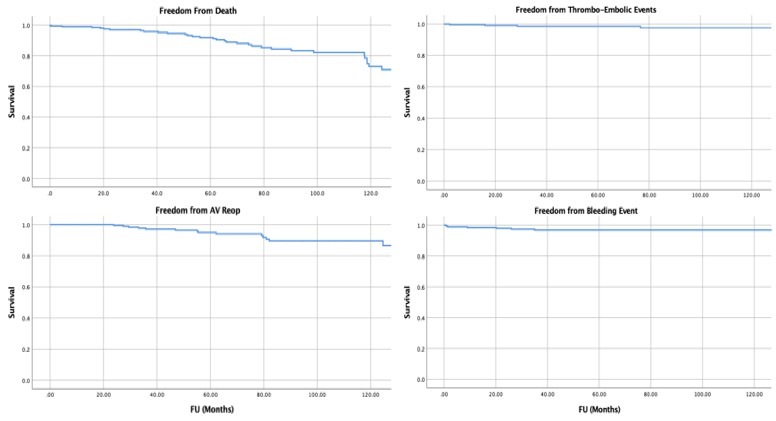 Furthermore, we show that it can be equally performed in patients with severe isolated aortic regurgitation, and the durability of valve repair is similar regardless of the indication for surgery.